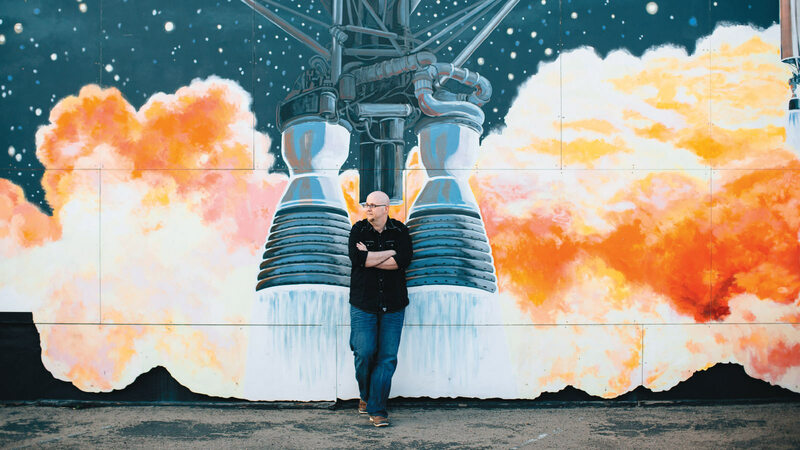 John Joseph Adams ’00 is a self-proclaimed geek, but even he never imagined that his name would one day be synonymous with science fiction. Adams, who majored in creative writing at UCF, is the series editor of Best American Science Fiction and Fantasy; the editor and publisher of digital magazines Nightmare and Hugo Award-winning Lightspeed; the editor of many anthologies, including Wastelands, The Living Dead and The Apocalypse Triptych; and the producer of Wired’s “Geek’s Guide to the Galaxy” podcast. Last year, he served as a judge for the young adult category of the National Book Awards, and received an Alfie Award for best editor of short form from the king of sci-fi himself, George R.R. Martin. 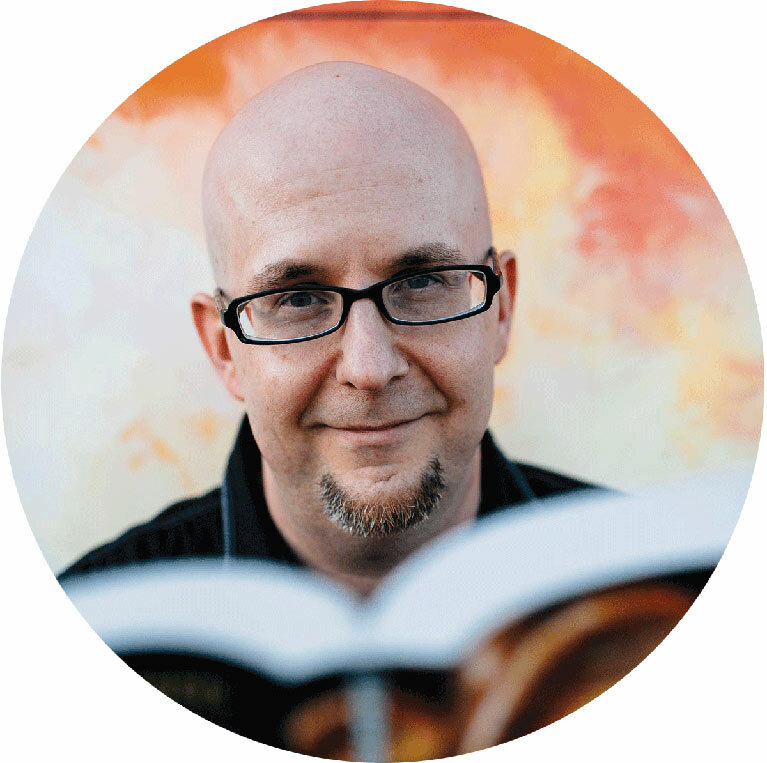 He also recently partnered with Houghton Mifflin Harcourt to launch their new science fiction and fantasy imprint, named, fittingly enough, John Joseph Adams Books. Gets the mechanics for getting to orbit correct and portrays how space habitats might work, but more importantly, outlines the supporting economics. Imagines the challenges facing a generation ship as well as of living in space and ultimately, anywhere other than Earth. Features realistic space travel and how we have the technology to go to other planets now, with the only constraints being funding and organization. Features realistic treatment of astronomy, astrophysics, the search for extraterrestrial intelligence, and interstellar warfare within the constraints of slower-than-light space travel. Though primarily about emergent artificial intelligence, the story takes place within a realistic solar system and sets up a society that is wholly believable in this environment. What draws you to science fiction? The sense of wonder. Trying to imagine what the world would be like if certain things were different just seems inherently interesting to me. Discovering a brand new writer. It’s always wonderful when you publish something, and it really resonates with people. The other thing [I love] is being a curator for others. If you want to read a book of post-apocalyptic fiction, for example, you probably don’t want to have to read 1,000 stories to find the best one. That’s what I do. I read everything on that topic I can, then distill it down to the best 20 or so stories, so you don’t have to. How did your podcast with Wired come about? David [Barr Kirtley, the host] and I lived in the same area near New York. We always got into these deep, involved discussions with our friends about science fiction and fantasy. We were also really big fans of documentaries. There was one about competitive Scrabble players, and I thought it’d be great if somebody did a science fiction and fantasy [documentary] that really delved into what it’s like to be a fan. Dave said maybe we could do a podcast [instead]. What’s a deal breaker for you, as far as writing is concerned? The most frequent mistake I see is that the writer doesn’t have a strong voice. You can tell a story with simple prose, but you have to have a voice. It’s a hard thing to teach, and it’s hard to point out to writers all the ways that a voice fails. What’s the state of science fiction today? I like to say that we’re in the golden age of science fiction because there’s more wonderful material being written right now than ever. Science fiction and fantasy is largely an American-grown genre, but there are multiple anthologies over the last several years that are specifically geared toward promoting international science fiction and fantasy. It’s interesting to see these perspectives from all over the world. It’s also becoming more inclusive of racial and gender issues. What would you bring with you on a one-way trip to Mars? My Kindle. I would definitely include Mars by Ben Bova — and The Martian by Andy Weir because it has some useful tips. If you could witness any event — past, present or future — what would it be? If I could see the press conference where we finally announce that we conquered climate change, and the world’s not going to continue to overheat and kill us all, that would be cool. Vampires would be on the bottom of my list. I really love zombies, and I really love superheroes, but if I had to choose between the two, I’d pick superheroes. My body of work as an editor. I think founding Lightspeed and building it to become one of the leading magazines in the field is my biggest publishing accomplishment. Having just recently launched Best American Science Fiction and Fantasy is something I’m also very proud of because it gives me an opportunity to be the evangelist-in-chief for bringing those genres to the masses. What three things do you absolutely need while working? Which fictional character would you most like to have coffee with? Data from “Star Trek: The Next Generation.” Bonus: I’d probably also get to drink his coffee since he’d have no use for it. Extra bonus: Hopefully this meeting would take place on the Enterprise, and I could meet some of the other crew as well.